So what is Climate Change? Do you think the world’s climate scientist are lying about the data? What is more powerful than the sun, volcanoes, and all other things in nature and we are officially to “blame” for the world’s climate change. Question – which change is it? So should I pack a swim suit or a parka? Point is, climate change is not that simple. The fact is that the Earth is getting warmer. There’s a lot of information floating around about climate change. Most people know it has something to do with the “Industrial Revolution”. Pollution, changing weather and car exhaust, climate change occurs when long-term weather patterns are altered for example, through human activity. Global warming is one measure of climate change, and is a rise in the average global temperature. We can decide to do nothing about this issue now, but we’ll just pay for it later. Food prices will continue to rise and water will continue to become increasingly scarce leading to even more political instability and debt crises. If you think we should just stand by and do nothing to address the impact of climate change on the rest of the world, just look at what’s happened to our economy and the price of oil recently. For every action there is an “equally” positive or negative reaction. “An Inconvenient Truth.” *If we vanished from this earth it would recover in its entirety in 50 years*. As the world came out of the last Ice Age 14,000 ya, human populations grew. They came under survival pressure from a sudden dip that took just 50 years to drop into a mini Ice Age 11,000 ya, the Younger Dryas, snapping out of it almost as suddenly about 10,000 ya. That pressure forced some humans in the Fertile Crescent to change their lifestyle. They herded animals they had previously hunted and farmed crops they had previously gathered in the wild. Farming meant settling on land, leading to settlements, towns and, about 6,000 ya, the first cities. That major change in lifestyle required a change in how humans used they’re brain that had evolved over millions of years to pass on traditional practices that made humans expert hunter gatherers. Humans began to use conscious processes as a major function of the brain, producing innovations and new technologies in lifestyles that were much more diverse than traditional hunter gatherer lifestyles. The 10,000 years during which humans have developed modern complex societies just happens to be one of the longest and most stable interglacial periods in recorded climate history. Humans have already influenced climate by clearing land for agriculture and construction of cities. Greenhouse gas emissions might just reach a tipping point that throws climate back into a cycle of volatility and unpredictable survival pressures on humans. And it is probably what is needed for a real change! Why humans cannot understand that we as a result of creation and evolution of this world,are depending on it and cannot afford to play the ostriches and put our head in the sand thinking that everything will go away if we do not pay attention to it? NOT THIS TIME. The Human race and all Ecosystem and Biodiversity is in danger of extinction. We have to wake up face the challenge and fix it! No time too loose. We at GreenDustries are aware that our blogs sometimes are not filled with happy news. 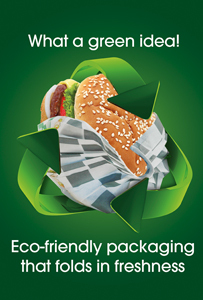 GreenDustries think about it,is a “Green Industry” we are part of the solution for the World’s Fast Food Industry, our products help in many ways to reduce the impact of Carbon Footprint, reduce Water Pollution, we are Saving Trees, Gasoline and Reduce Waste to Landfill, we are Saving Paper and Paper Board. We do not want to put your spirits down, we only want to transfer the feeling of urgency that we are all facing and maybe if we do take actions in time and make a change in our way of consuming and in our way of seeing the world not as a endless source for everything, but if we can see that the result of our actions can destroy us and everything around, then all of us can make a change and enjoy our beautiful blue planet for another 3 billions years! Yes we can! I might be baentig a dead horse, but thank you for posting this! So happy that you totally agree. The world needs more people like you…. Hi, we don’t really understand what you mean? http://www.greendustriesblog.com. What about AOL? We love to help….Thank you. Wonderful post, very informative. I ponder why the opposite specialists of this sector do not understand this. You should continue your writing. I am confident, you have a huge readers’ base already!|What’s Taking place i’m new to this, I stumbled upon this I’ve found It absolutely helpful and it has aided me out loads. I’m hoping to give a contribution and help different users like its aided me. Great job. Chem Flunky,So Let me get this straight, you have no idea how many hteads will occur or have occurred? So if this is the case, let me ask you how you would actually proceed. You have a trillion dollars. You can spend it on saving known lives at risk for any number of problems man faces or on reducing AGW, which do you spend it on? Listening to the scare-mongerers, it sounds like it will be billions. Is this realistic? DO you think a good risk assessment can be done, if we do not even know the risk? My answer to this question is simple. Since we do not know the risk, we go for solutions that will be beneficial outside of AGW causing hteads or not. Nuclear power is an example. We can make nuclear power cheaper than coal and it is already safer than coal. E-cars is another example. Not paying for gas would be awesome. If they can get the price of solar panels to a reasonable amount, it would be as well. Paying for half as much energy and not being totally reliant on the power companies would be great. Note that this solution without the constant scare-mongering, both addresses your issues and does not cause people to believe the world is going to end. Without the scare-mongering, do horrific things like denying third world countries, power plants become unthinkable. Also for your answer to Number 3, are you really suggesting that the earth will not naturally pull excess CO2 out of the air? We may disagree on the timeframe to do this, but your answer suggests that the earth will not pull excess CO2 out of the air at all.I understand why you say a thousand years. They have given the half-life of CO2 in the atmosphere at up to 200 years, meaning that taking out 97% of the CO2 would take about 1 thousand years. Fortunately for us and unfortunately for the scientists trying to determine the length of time, this is not nearly an accurate way of measuring this. Imagine a sink where the drain is pulled, but water is coming in at a faster rate then it is going out. Now in this case, if you lessen the water coming in, then the time to for the level of water to go down has to do with the rate of water going in and going out. It has nothing to do with how long one molecule of water stays in the sink. In fact, the time of a molecule of water being in the sink will likely be much longer. Because of this, it is difficult to figure out rates, but it will be far less than 1000 years. Hi Amal! 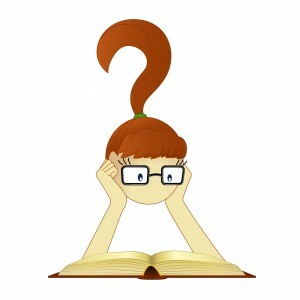 If you read few of our blogs you’ll get all the answer to the different question you asking.